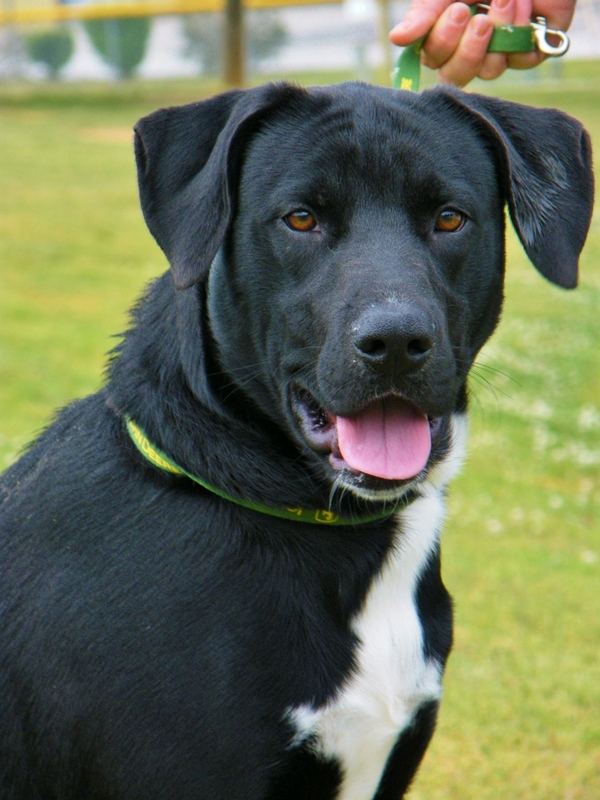 Rowdy’s luminous personality is a full 1,000 watts — he’s thrilled to see you 24/7, with a beaming smile and a full-body wag to prove it, but ask this lustrous 2-year-old black and white Retriever/mix to come back to his kennel after a race around the yard and he’ll politely oblige; and he’ll proudly show you how he can sit, shake and lie down for a treat before settling in, too. Rowdy’s another mystery-stray; we picture him in the middle of an outgoing family, the kind that knows how to love and play, with sturdy kids who’ll enjoy a devoted friend whose job it is to wear them out. Rowdy gets along well with other dogs (exuberant and otherwise) and he’s already neutered. See how brightly his eyes shine the moment they first meet yours, and how little energy it takes to fall for a glowing young boy named Rowdy. She presides prettily over all in her purr-vue, the color of orange sherbet with whipped cream; and if you come her way she’s sure to greet you — making conversation is 2-year-old Allie’s forte, being beautiful’s just a sideline. 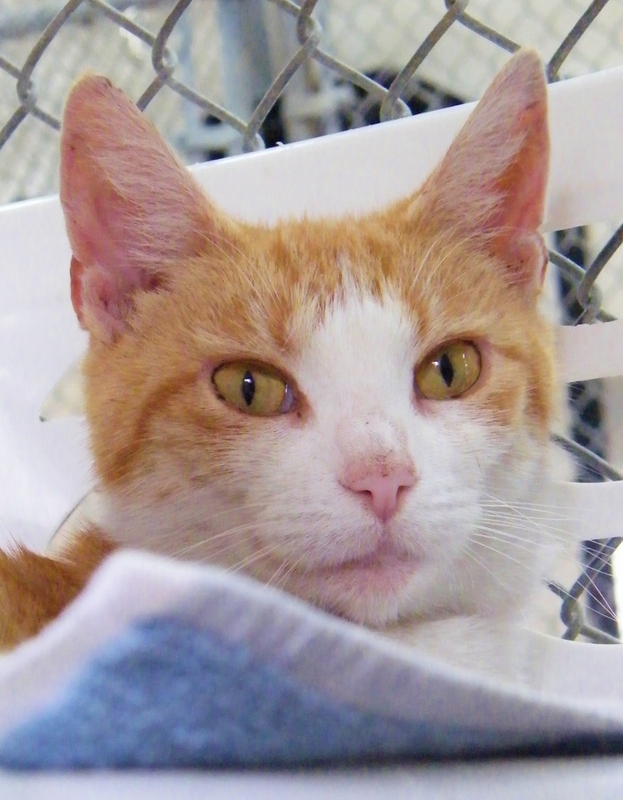 (At the Adoption Center she stationed herself at the front of our big cage, a meow-emissary for all her roommates, you couldn’t get past without a polite chirp, at minimum.) Allie was found stray, an elegant tiger girl replete with social graces; she’s clean and tidy, a nice box-keeper, and she’s fine with other cats. But she’ll love YOU the best, humans big or small are so fun to talk to, outgoing Allie can hardly get enough. If you’re looking for a stylish companion who’ll happily keep your most delicious secrets, a sensitive feline sidekick who’ll read your emotions like a mood ring, or simply an intelligent friend who always says the right thing.